Start How does a Snake Move? Serpentine: the most characteristic movement and the one that enables them to move at the greatest velocity. The serpent advances like a wave, through a sinusoidal movement of its body. Concertina or accordion: the snake forms volutes or twists with its body contracting and expanding successively like a spring or accordion, moving from one anchor or impulse point to the next. Lateral displacement or sidewinding: typical of the species that inhabit the desert (and in particular the sidewinder rattlesnake). The snake forms vertical waves to minimize the contact areas with the scorching surface and in this way it moves laterally. Rectilinear: this mechanism has recently been unravelled and is the only one that does not fit the initial definition, since the snake crawls in a straight line with its body stretched. It is typical of the largest and more voluminous of the species as it allows them to access the narrow burrows of their potential prey. 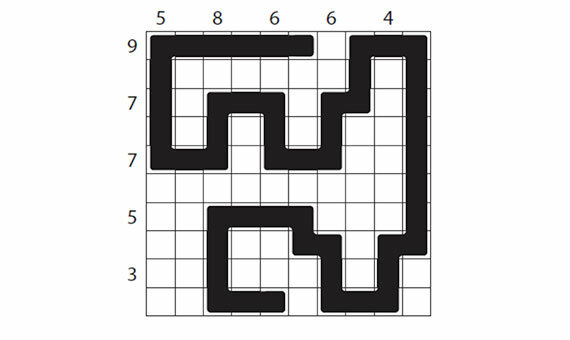 Place the snake’s body on the grid. 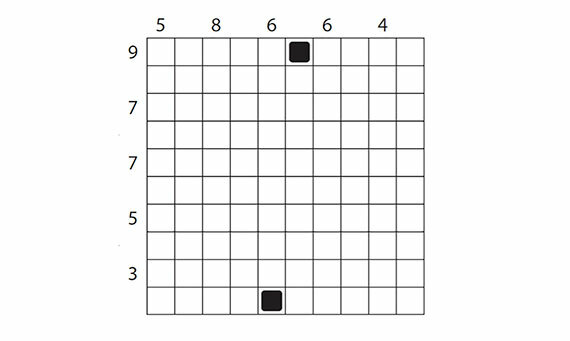 The two black squares point to the two ends of the body. 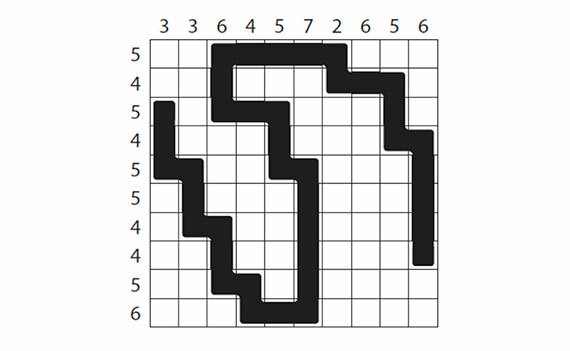 The snake extends itself across the board from one square to the next, either vertical or horizontal (but not diagonal). 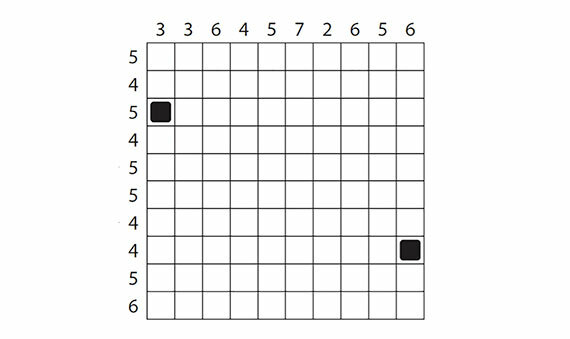 It can only occupy each square once and the snake cannot touch itself at any point. The numbers in the margins indicate the squares occupied by the snake in that row or column. Before discovering the solutions, we inquire a little more about the last and the most unknown of the movement mechanisms of snakes, the rectilinear one. It was described and examined for the first time by the herpetologist H.W. Lissmann in 1950, who posed the hypothesis that this type of movement was achieved through the combined action of the powerful muscles of the snake and its skin, flexible and sufficiently “loose” as to allow it to move forward without bending. But it wasn’t until a few months ago that the internal mechanism that enables serpents to move forward has been completely unravelled. Bruce Jayne, professor of biology at the University of Cincinnati and one of the world’s leading experts on the locomotion of these reptiles, has managed to explain how snakes can crawl in a straight line, in an exhaustive study and analysis published in December 2017. Jayne has verified that, as the serpent advances, the skin of the ventral zone flexes much more than the dorsal area. The ventral scales act like the tracks or tread of a tire, providing traction against the ground while the costocutaneous muscles, which go from the ribs to the skin of the back, push the skeleton forward, inside the sleeve that constitutes the skin, which they simultaneously drag. This creates a fluid movement in which the spine moves at a constant pace, which prevents it from having to bend.